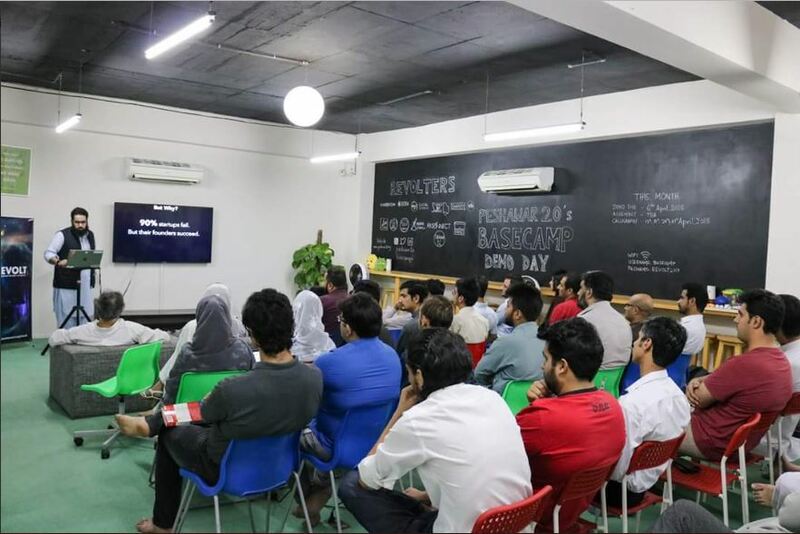 The second cohort of Revolt comprising of seven startups graduated from Peshawar 2.0’s business incubation and acceleration program. The graduation was celebrated in a Demo Day, after the conclusion of the three-month incubation cycle. Budding entrepreneurs graduating in the winter cycle of revolt presented their prototypes to investors and the entrepreneurial community of KPK. The winter cycle kicked off in December 2017 with nine startups and 20 incubatees. By the end of the cycle, seven of these startups have graduated to operate in the local market. Revolt is Peshawar 2.0’s 12-week intense sprint program for startups and entrepreneurs who want to transform their ideas and final year projects into products, prototypes and eventually startups. The strictly residential program is run by partners who are entrepreneurs themselves and keep the momentum going for the incubated teams. A social enterprise, League X aims to create an empowered community of differently abled people by equipping them with skills of technology, design, and art. A virtual store, Khpal Dukan provides quick and hassle-free delivery of groceries, naan, medicines and various items. Their delivery time exceeds no more than 30 minutes and they offer a money back guarantee to ensure efficient customer service. Unidesk is essentially a career counseling web portal that helps students to make better and informed career choices. Their interactive platform streamlines various admission processes and facilitates students in making career decisions according to their aptitude, interests and job market realities. A Science, Technology, Engineering, Arts & Mathematics (STEAM) School that aims at utilizing hujras and underutilized community spaces for classes and events that inspire kids to pursue science, technology, and art. An android application, RKonnect facilitates schools in marking and maintaining the attendance of students. It also helps parents to track the progress of their children in schools. Jingles is a web-based platform connects verified and qualified tutors with students looking for coaching. Donatello is another startup working to provide arts, life and career classes to students to help them find their true calling. Revolt is currently accepting applications for its Summer Class of 2018. Interested startups can apply by 31st May 2018.